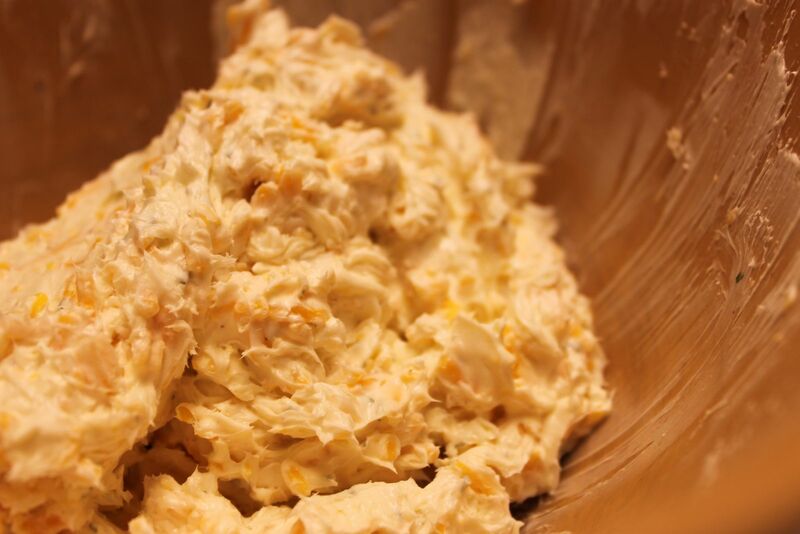 In a medium bowl, use a mixer to blend the cream cheese, Ranch dressing mix and cheddar cheese until well blended. 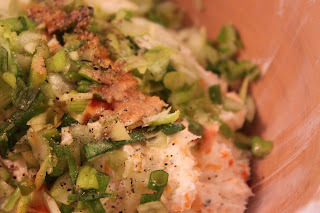 Add the green onions, Worchestershire sauce, hot pepper sauce, and black pepper and mix until smooth. 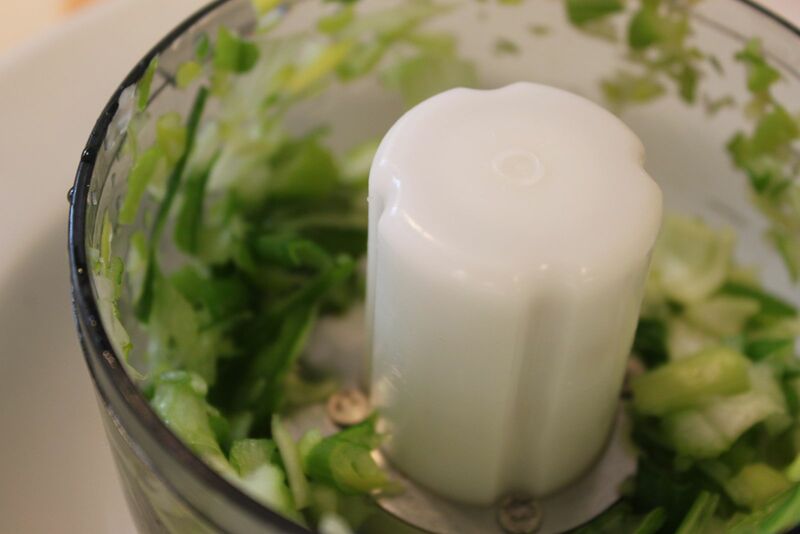 Place plastic wrap over the bowl and refrigerate for 30 minutes. 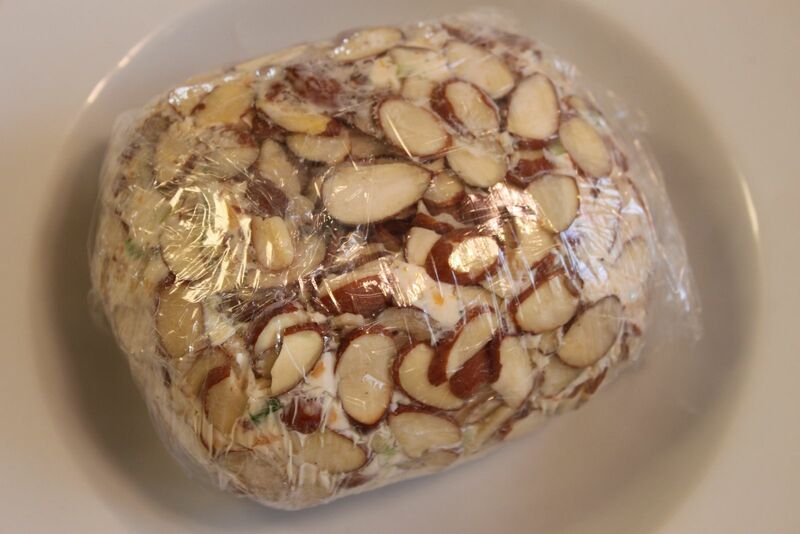 After 30 minutes, spread out a sheet of plastic wrap and sprinkle with 1/4 of the almonds. 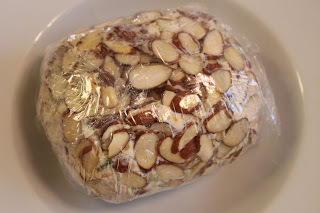 Place the chilled mixture on top of the almonds then press the remaining almonds around the mixture using the plastic wrap to help shape it into a ball. Wrap tightly and place back into the refrigerator until completely chilled. Serve with crackers. 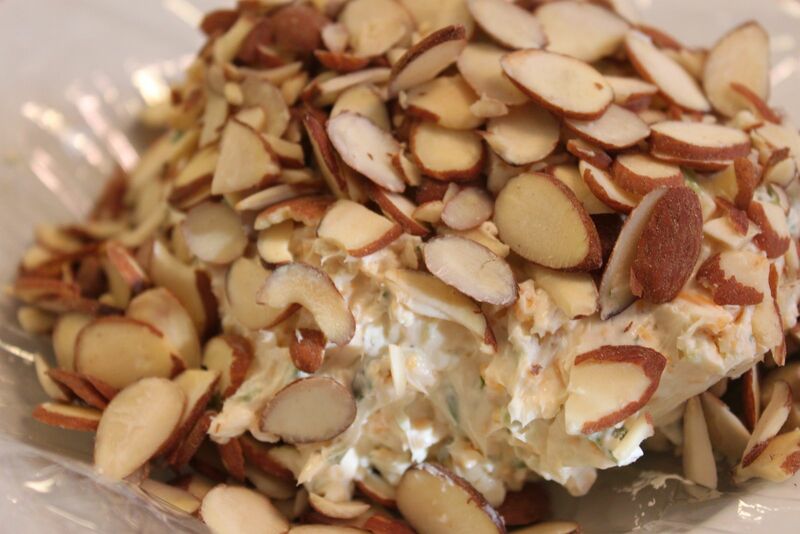 With the combination of cream cheese and Ranch dressing, the possibilities are endless. 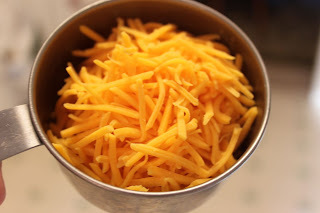 Shredded cheddar: a necessary evil! 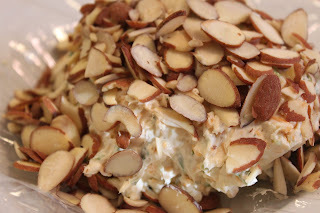 Blend the cream cheese, dressing mix, and cheese together. 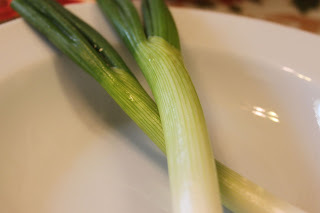 Our life would not be complete without green onions. I sent these two for a whirl in my little food chopper. 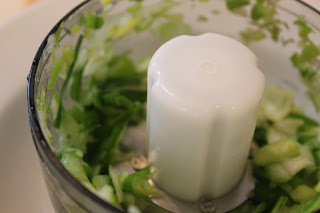 Add the onions, Worchestershire, hot sauce, and pepper to the cheese mixture and blend well with the mixer. After all of the ingredients are well blended, scrap down the sides and cover bowl with plastic wrap. Refrigerate for about 30 minutes. 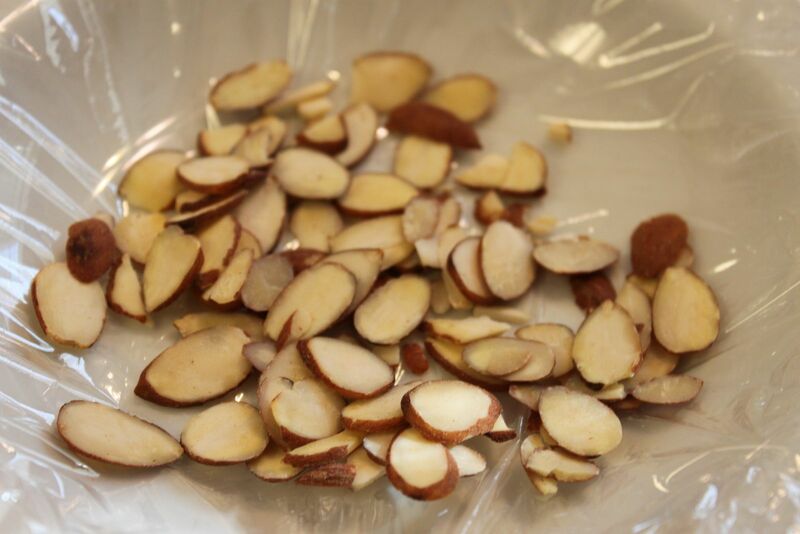 After 30 minutes have gone by, lay some plastic wrap down and add some sliced almonds. Place the cheese mixture on the almonds and start pressing the remaining almonds around the cheese. 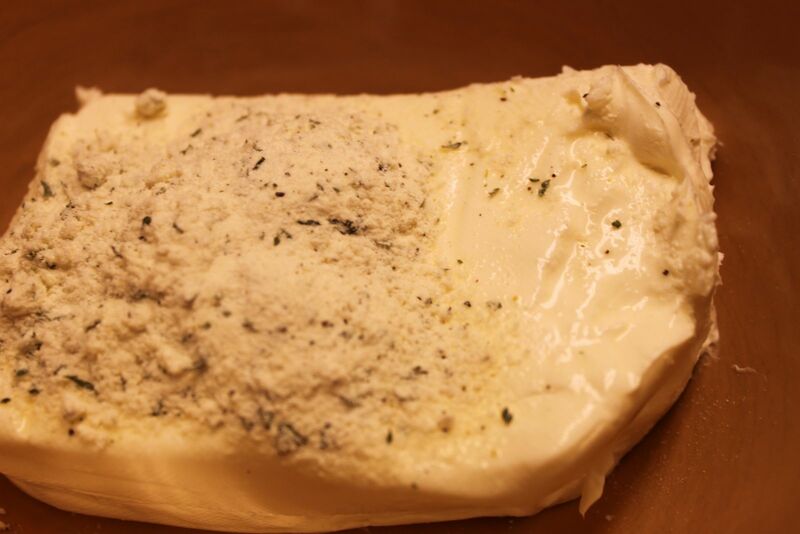 Use the plastic wrap to help form the cheese mixture into a ball. Refrigerate for several hours or overnight. This has been a big hit with my parents. I believe that they have already made 2 and were talking of making another one when they were visiting last week! 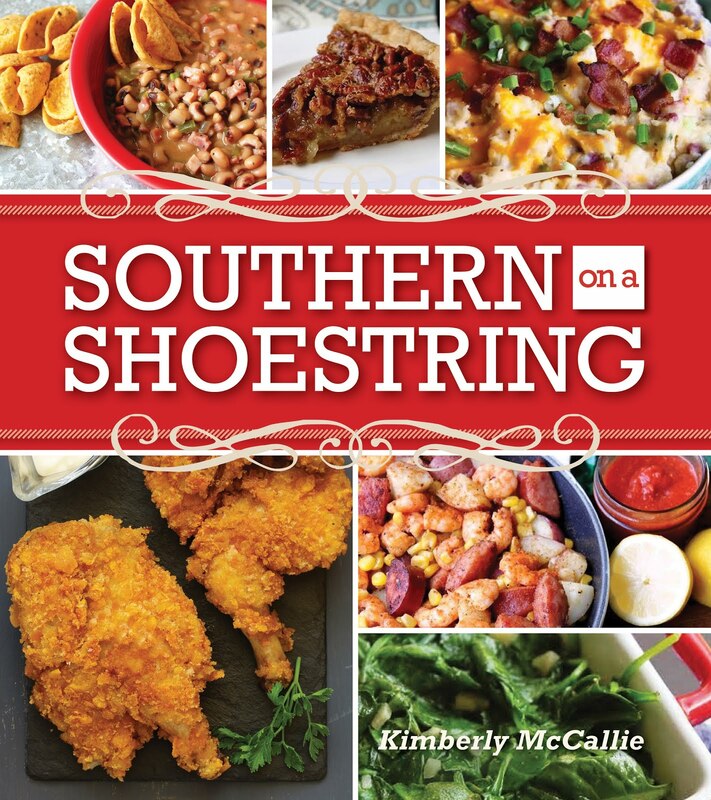 Glad y'all are enjoying the recipe. 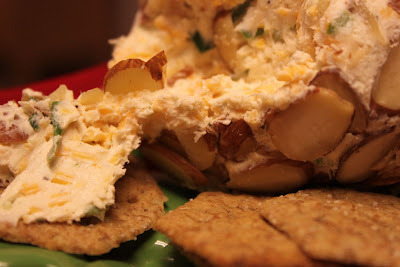 I have been paying 6.99 for a cheese ball where I live. I will be making t his from now on.